ReiBoot Pro Review - Resolve Every Freeze/Stuck iOS Issue! ReiBoot Pro Review - Resolve Every Freeze/Stuck iOS Issue! 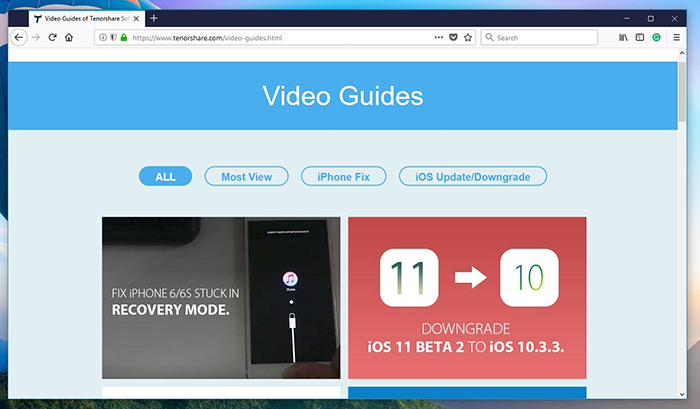 ReiBoot Pro Review – Make Your iOS Device Unfreeze and Start Working Again! In general, users of iOS devices rarely encounter serious errors. Apple has done a magnificent job of optimizing the software and making it run without any problems. However, there are a few annoying errors that a certain portion of iOS users encounter every now and then. For example, if your iPhone freezes during startup. This is where an application like ReiBoot comes in handy. 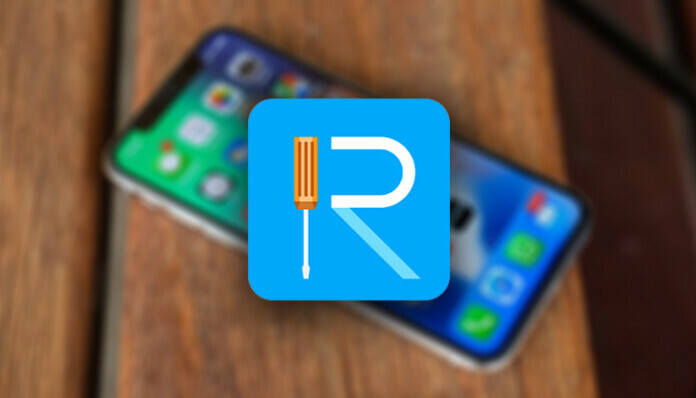 We are going to tell you all you need to know about how to resolve pretty much any problem with your iOS device, so keep on reading our ReiBoot Pro review. Before going any deeper, let’s take a look at the basic information about this software. We’ll cover things like platform compatibility, unique features, pricing, and more. 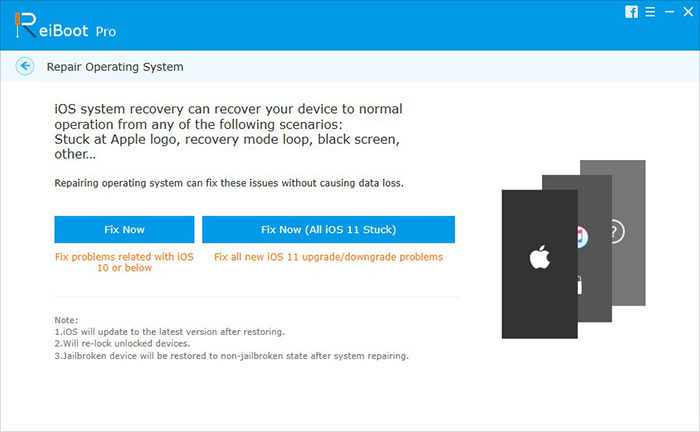 Unique Features Fixes a wide range of issues; Repairs iOS; Full system restore; Compatible with all iOS versions. Now that we have the basics out of the way, let’s introduce you to the most prominent pros and cons of this software. The following information should be useful if you decide to compare ReiBoot Pro with its competitors. Pros Highly polished UI design; No bloatware; Highly capable; Gets the job done quickly; Works every time. Cons Grammar mistakes in the UI; Other than that, none. Final Verdict With ReiBoot Pro, you get what’s advertised. This software helps you eliminate a wide range of iOS problems, and it does its job with success every single time. As you can see, ReiBoot Pro is a very simple yet highly effective tool. If you’d like to know more about the specifics, keep on reading our full review. Once you encounter an issue with your iOS device, like not being able to boot, you will find plenty of advice and tutorials online. The truth is that there are different ways to solve this issue if you put some effort into it. However, you can also use a tool like ReiBoot, that gets the job done easily and in no time. Before we proceed, we’d like to let you know about the way we tested this application. We have used ReiBoot Pro (version 6.9.3) on a Windows 10 PC. Additionality, we have used the iPad Pro 12.9-inch (iOS 11 installed) to test this application’s capabilities in terms of fixing iOS issues and performing the system recovery. You can use ReiBoot Pro on Windows and MacOS computers. You’ll get to use the latest version that looks identical on both of these operating systems. Our Score: 10/10. To use ReiBoot Pro on your computer, you need to have iTunes (and its drivers) installed. If you don’t have this application, ReiBoot will download and install it for you. That’s because having this set of drivers on your computer is the only prerequisite to make the connection with your iOS device can happen. And since you can install iTunes on Windows and MacOS computers, both of these operating systems are covered. Those of you who use Linux are out of luck. Even though you can install iTunes substitutions and connect your iOS device to your Linux computer, you won’t be able to install ReiBoot Pro. 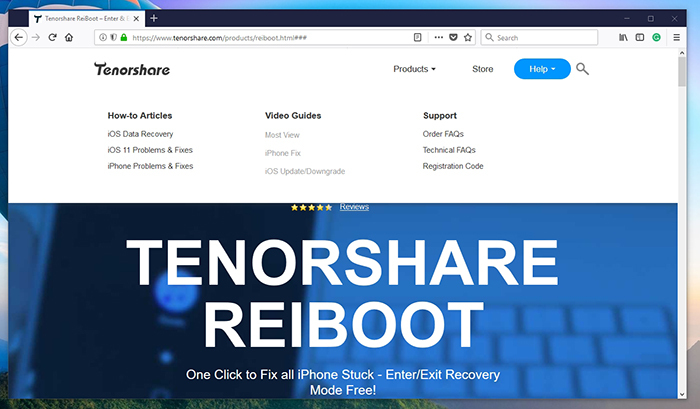 Finally, you should know that Tenorshare, the company behind this product, is pushing updates for Windows and MacOS versions of this app at the same time. No matter which of these OS’ you use, you will have the same user experience. As you can imagine, you can download, install, and start using this application in a matter of minutes. No bloatware of adware can be found. Our Score: 10/10. The process of installation of ReiBoot Pro begins by visiting the official website. You can get started for free and fix common issues without paying anything. However, you should know that the Pro version brings additional tools that be of great help with more serious iOS problems. Once you’ve downloaded the installer file, you can proceed with the installation. Those of you using Windows can double-click on the file, and you’ll see the Installation Wizard. This is a very simple process where you’ll get to review the license agreement, select the location, and that’s about it. 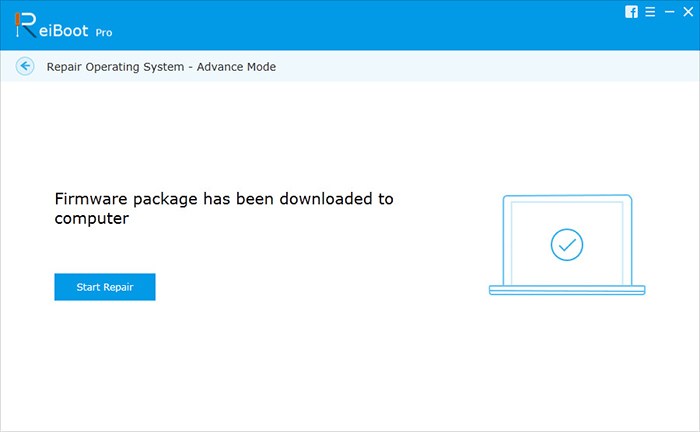 The Installation Wizard won’t try to force you into installing bloatware, which is a nice thing to see these days. Several moments after, you will get to see the final step of the installation and launch the application. It’s simple as that. Once you run the application for the first time, it will make sure that your computer recognizes your iOS device. 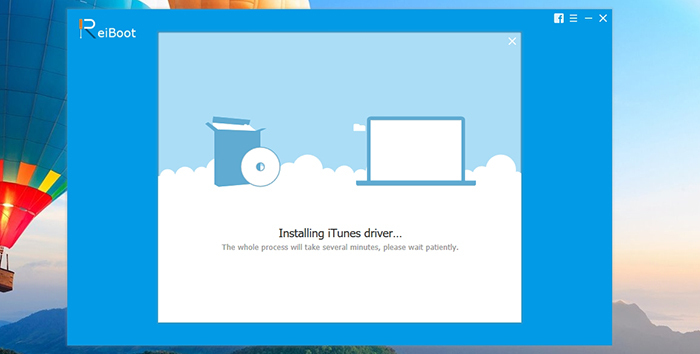 This means downloading iTunes and installing appropriate drivers. This might take a few minutes, so sit back and wait. 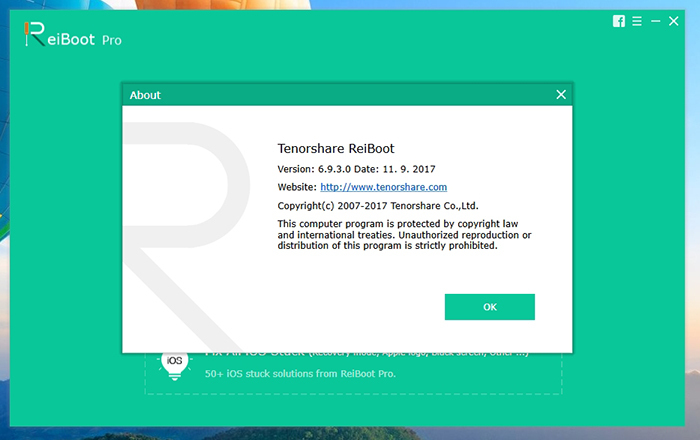 Once done, ReiBoot Pro will restart (not your computer, the application only) and you’ll be ready to start using it. As you can tell by taking a look at the screenshots, this is a highly polished application. However, we have to say that some grammar mistakes make the overall experience less exciting. Our Score: 8.5/10. 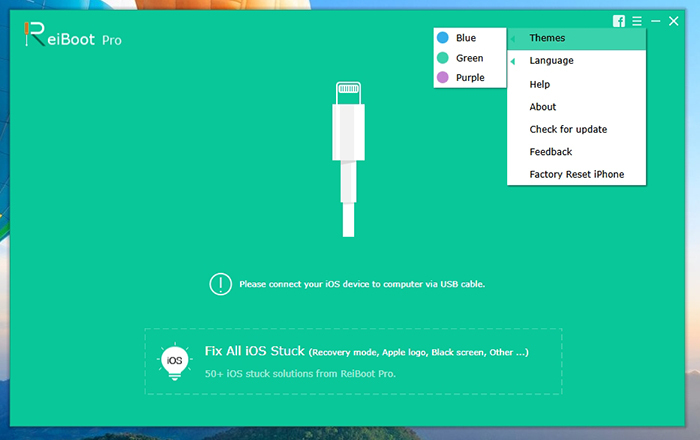 ReiBoot Pro is doing a good job of making things very simple. Once you open it, you will see the Home screen asking you to connect your iOS device to your computer. Aside from that, you will see prominent button at the bottom that leads you to a selection of 50+ solutions to various problems with your iOS device. It is also worth noting that there are a few interesting options in the top-right corner. On the right side of the Facebook button (which leads you to the application’s Facebook page), is the main menu. Let’s take a look at the options found here. Themes: You get to pick from three colorful themes (blue, green, and purple). Based on your preferences, make sure to transform ReiBoot into something you’ll like. Languages: There isn’t a whole lot of languages to choose from. However, this could be a useful feature if you want to translate certain explanations regarding how to prepare your iPhone for using this software. Help: This option will open your Web browser and take you to the official support page. We’ll talk about customer support later on in the article. 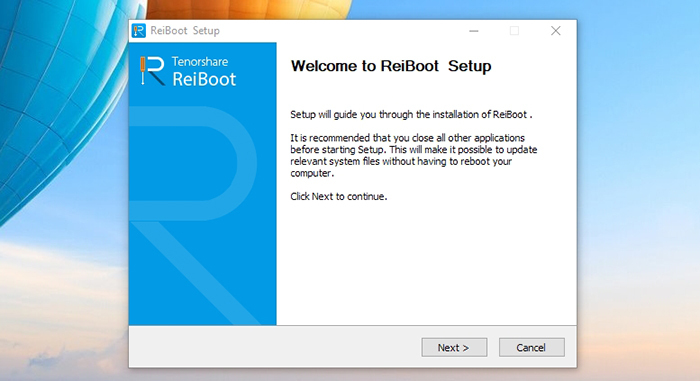 About: As you can imagine, this is where you’ll find basic information about your version of ReiBoot Pro. Check for Update: The same says it all. This application isn’t frequently updated but you should still make sure that you’re running the latest available version. Feedback: If there’s something you’d like to say to the company behind the application, this is a good way to do that. 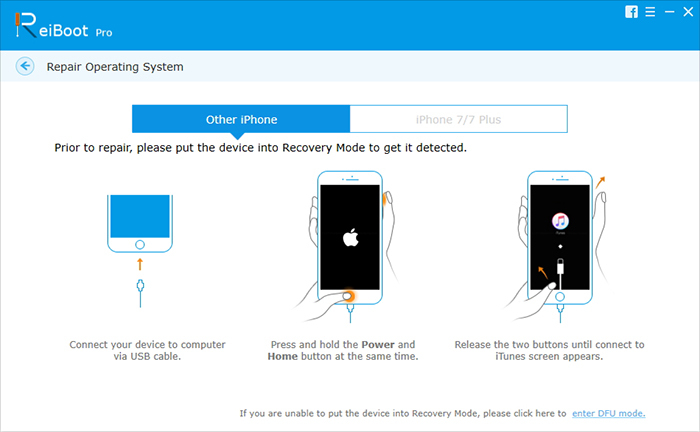 Factory Reset iPhone: The Pro version allows you to use the Advanced Mode of system recovery. This will erase all your data and return your phone to the original settings. As such, you should use it as the final measure of fixing complex issues. 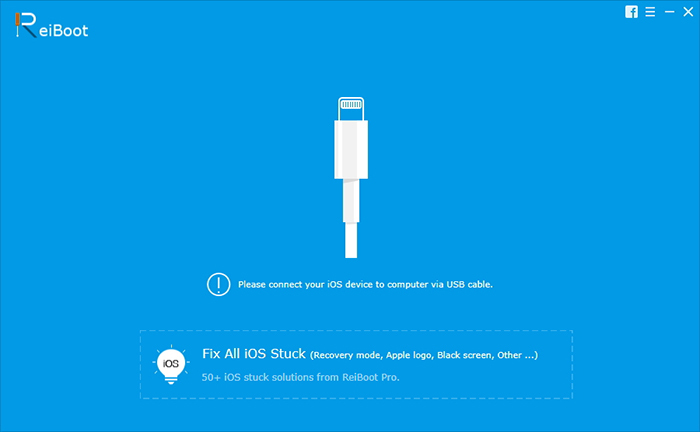 ReiBoot Pro provides clear instructions and graphics that make it very easy to understand the entire process of fixing your iOS device. Our Score: 10/10. Finally, if you’re stuck in continuous Apple logo loop. 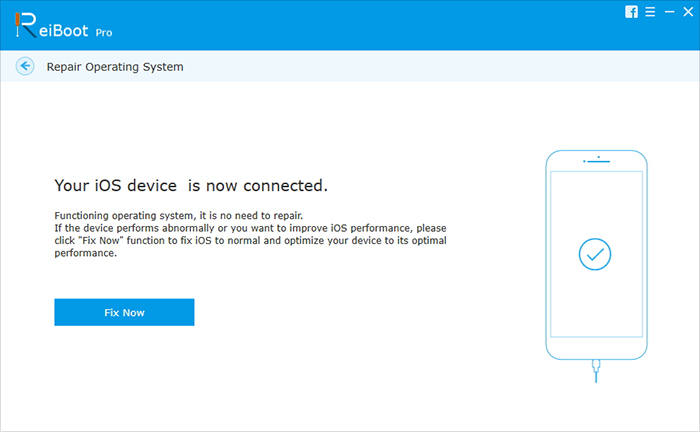 To show how easy it is to use ReiBoot Pro, we are going to guide you through the process of fixing an iOS device. Keep on reading and take a look at the screenshots. 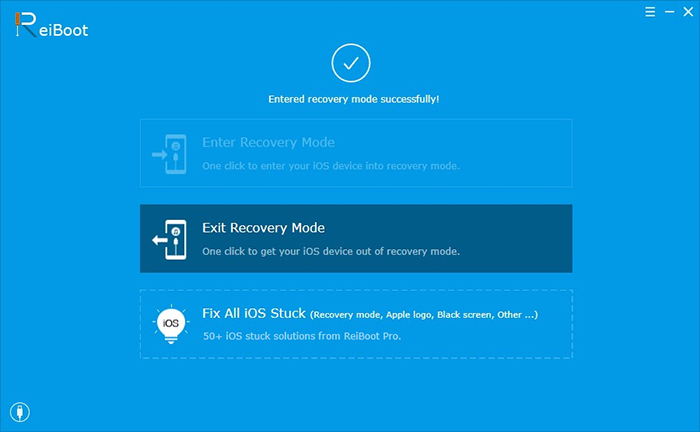 Now that your device is in the Recovery Mode, you can click on ‘Exit Recovery Mode’. This will reboot your iOS device. That’s it! Your iOS device should now boot and it should work normally. 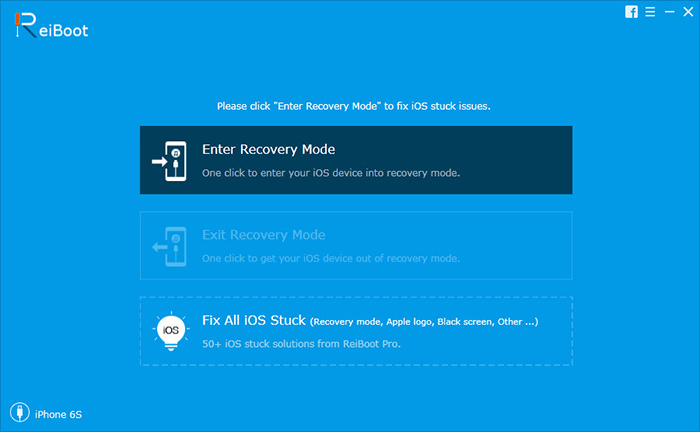 One of the perks of using the Pro version is that you get access to advanced recovery options. This could be very helpful if you encounter a more serious issue that the previously explained method can’t resolve. 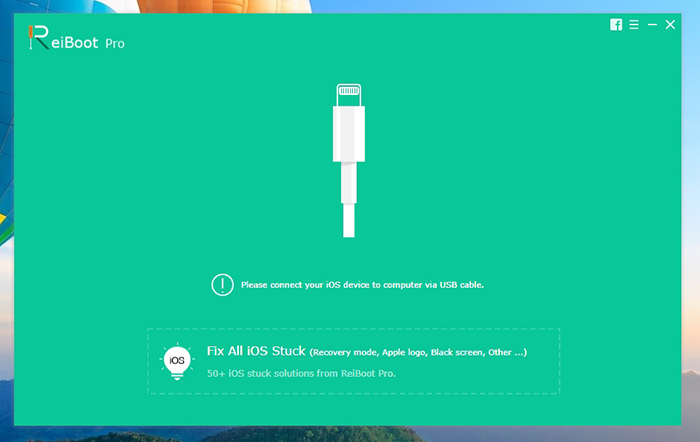 You can access this option by clicking on ‘Fix All iOS Stuck’ on the Home screen. ReiBoot will ask if you have the latest firmware package stored locally on your computer. The chances are that you don’t have this file, so you can use the ‘Download’ button to let ReiBoot download the needed file. Sit back and wait until the firmware is downloaded. This can be a somewhat large file (around 2.5GB), so it might take some until the process is done. 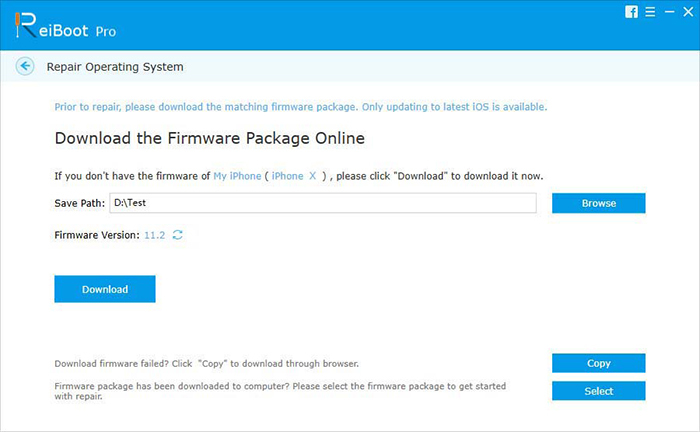 Once done, you will be notified that the firmware file has been downloaded. Click on ‘Start Repair’ to begin the procedure. ReiBoot will finish the rest on its own. Your device’s iOS will be updated and return to original settings. This can take a few minutes and it’s important not to use your device. Make sure to leave it connected. That’s it! Your iOS device should boot now, and you should continue using it normally. You’ll be greeted by the Welcome screen, so sign in to your Apple ID account and download the latest backup. ReiBoot Pro is a very lightweight application that doesn’t take a lot of your computer’s resources. It gets the job done quickly. Our Score: 10/10. As you can imagine, this isn’t a complex application in terms of needing a capable processor or a lot of memory. Instead, you can look at it as a tool of communication between your computer and your iOS device. What’s great about this software is that you can use it even on very old computers. This gives you an idea of how versatile ReiBoot Pro can be. When it comes to speed, not much can be said about it. The truth is that it can take a lot of time if you decide to restore your iOS device to factory settings. However, this process depends on your device, not on ReiBoot. 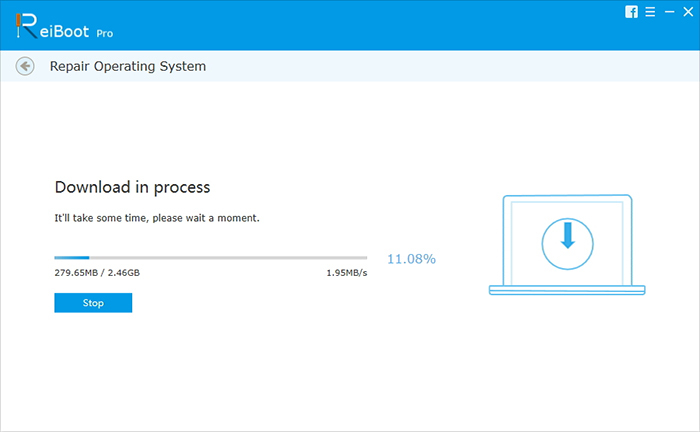 In other words, the application can’t make this process any faster than it already is. There are numerous ways to get help, as well as to learn more about this software – everything from user manuals up to video tutorials. Our Score: 9/10. When it comes to customer support, you should always start with the official Support Page. This is where you’ll find a form that you can use to submit your question. In addition, you will find a list of frequently asked questions and product user guides. Those looking to learn all they can about this software can rely on two types of content. There are how-to articles that deal with specific topics, and there are video tutorials. Still, we don’t think you are going to need these since ReiBoot is a very simple and straightforward software. You can use ReiBoot free of charge but it will come with limited options. The Pro version is differently priced for Windows and MacOS, depending on a chosen license. Our Score: 8.5/10. 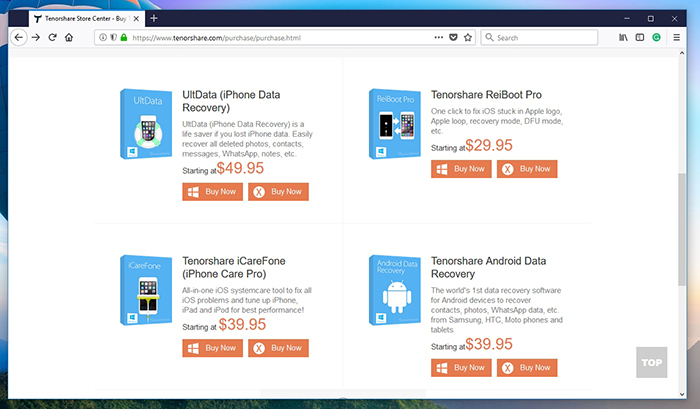 As said earlier, you can download and use ReiBoot without paying anything. As such, it can be a good solution for fixing simple issues. If you need something more capable, we strongly recommend upgrading to the Pro version. Windows: You can buy a single license that lasts one year for $29.95. If you want to use it on up to 5 computers without any time limitation (you get lifetime-free upgrades), that would cost you $39.95. There’s also a fully unlimited license that costs $199.95. MacOS: A single license for one year of use costs $49.95. The Family Pack (which brings licenses for up to 5 computers) costs $59.95. And if you don’t want any restrictions, the unlimited license costs $219.95. Some would say that paying $30 for a simple tool doesn’t seem like a good decision. However, you should know that ReiBoot Pro can be a lifesaver. In case your iOS device stops working, or if it gets stuck during startup, you will be more than happy to have an application like this one. You can fix the problem in a matter of minutes, instead of browsing the Web for possible solutions (that don’t work, in most of the cases). PROS: Very simple application; Easy to use; Resolves a number of iOS issues; The ability to restore your iOS device. OUR SCORE: 9.4 / 10. This is where we conclude our ReiBoot Pro review. We sincerely hope that we managed to answer all your questions. In case there’s something else you want to know, or if you have any doubts, don’t hesitate to post a comment below. We would appreciate if you could share this article online, with other iOS users. Thanks! ReiBoot Pro is one of those very simple applications that are real life-savers at times. It can fix a multitude of iOS issues, quickly and safely. Highly recommended!